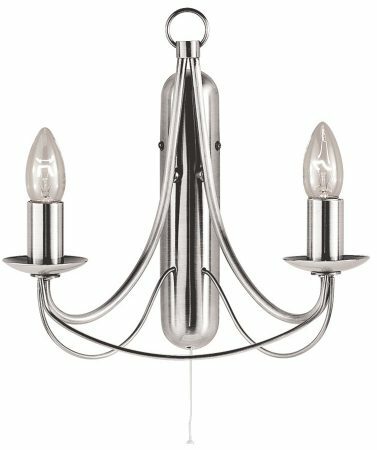 The Maypole satin silver finish 2 lamp switched wall light, a wrought iron style classical twin wall light fitted with a pull cord on / off switch. The crafted frame features a tall wall mount and two lavish arms draping and swooping outwards for an opulent effect. The two candle holders are mounted on curved arms splitting from a satin silver wall bracket for a beautiful, decorative fitting that would look great in almost any elegant, modern living room area or hallway. 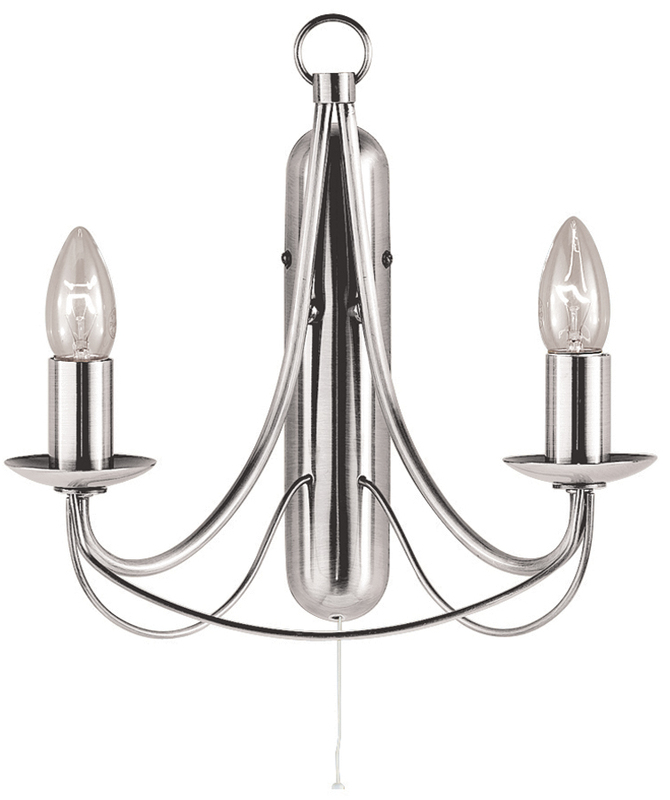 Part of the Maypole range of wrought iron style lighting. Please follow this link for the user instructions.